See Dirt Run! ™ Inc. of Germantown, MD., honored by Talk of the Town with Fifth Consecutive Five Star Award in Maryland for Exterior Home Cleaning Pressure Washing Reviews 2014. See Dirt Run! ™ Inc. was again selected as the top rated company for the fifth consecutive year in the Exterior Home Cleaning category for services performed during the year of 2014. Germantown, MD – March 1, 2014 Talk of the Town honors companies that consistently receive excellent reviews by consumers, looking at various sources for Annual Reviews. See Dirt Run!™ Inc. of Germantown, MD. received five star ratings for the 2010, 2011, 2012, 2013 and again in pressure washing reviews 2014 earning them the Exterior Home Cleaning Award for five consecutive years in a row. Earning this award for five consecutive years has earned See Dirt Run! Inc. the Sapphire award for excellence. See Dirt Run!™ Inc. cleans many different types of residential exteriors, such as vinyl, aluminum, brick, stone and stucco, but specializes in log cabins and homes, and cedar homes. The company also cleans decks, fences, deck furniture, and offers a full range of sealing and restorative services. See Dirt Run!™ Inc. is an active certified member of PWNA, a member of the Better Business Bureau with an A+ Rating, the Chamber of Commerce, and operates under MHIC License #86481 and VHIC# 2705 126609. Interested parties should contact the office at 302-540-1243. For more reviews please refer to the pressure washing reviews 2014 page for photos and quotes, and video testimonials. See Dirt Run! 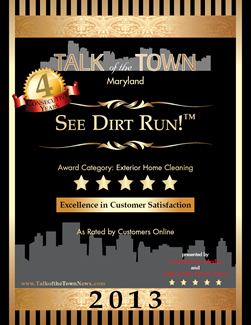 ™ Inc. of Germantown, MD., honored by Talk of the Town with Fourth Consecutive Five Star Award in Maryland for Exterior Home Cleaning during 2013. See Dirt Run! ™ Inc. was again selected as the top rated company for the fourth consecutive year in the Exterior Home Cleaning category for services performed during the year of 2013. Germantown, MD – March 1, 2013 Talk of the Town honors companies that consistently receive excellent reviews by consumers, looking at various sources for Annual Reviews. 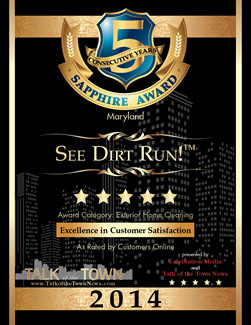 See Dirt Run!™ Inc. of Germantown, MD. received five star ratings for the 2010, 2011, 2012 and again in 2013 earning them the Exterior Home Cleaning Award for four consecutive years in a row. See Dirt Run! ™ Inc. of Germantown, MD., honored by Talk of the Town with Third Consecutive Five Star Award in Maryland for Exterior Home Cleaning during 2012. See Dirt Run! ™ Inc. was again selected as the top rated company for the third consecutive year in the Exterior Home Cleaning category for services performed during the year of 2012. Germantown, MD – July 23, 2012 Talk of the Town honors companies that consistently receive excellent reviews by consumers, looking at various sources for Annual Reviews. See Dirt Run!™ Inc. of Germantown, MD. received five star ratings for the 2010, 2011 and again in 2012 earning them the Exterior Home Cleaning Award for three consecutive years in a row. See Dirt Run! 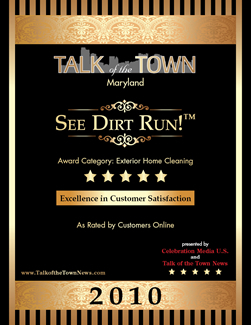 ™ Inc. of Germantown, MD., honored by Talk of the Town with Five Star Award in Maryland for Exterior Home Cleaning throughout 2010. See Dirt Run! ™ Inc. was selected as the top rated company in the Exterior Home Cleaning category for services performed during the year of 2010. Germantown, MD – March 4, 2011 Talk of the Town honors companies that consistently receive excellent reviews by consumers, looking at various sources for Annual Reviews. See Dirt Run!™ Inc. of Germantown, MD. received five star ratings for the 2010, earning them the Exterior Home Cleaning Award. See Dirt Run!™ Inc. of Germantown, MD., published in Country’s Best Cabins Magazine, Cozy Cabins 2011 Ultimate Cabin Guide. See Dirt Run!™ Inc. Vice President Beth Borrego appears in article entitled “Tips For Fixing Up An Old Log Cabin” published Nationwide in March 2011. Germantown, MD – March 22, 2011 Beth Borrego, Vice President of Maryland based company See Dirt Run!™ Inc. was contacted back in December 2010 by Country’s Best Cabins Magazine and was interviewed for an article on log cabin maintenance and restoration for the magazine’s upcoming Cozy Cabins issue. Borrego is quoted throughout the article appearing on pages sixteen through nineteen. See Dirt Run!™ Inc. of Germantown, MD, a local power washing company specializing in high end wood restoration and wood preservation, has been restoring and maintaining log homes since 1999. The article focuses on maintenance and restoration issues that all log home owners should be aware of, but is geared towards those considering older homes. Mark Elliott, the Vice President of Coventry Log Homes and John Ricketson, Project Manager for Hearthstone log homes were also mentioned in the article. Beth Borrego and Rod Rodriguez, President of See Dirt Run!™ Inc. have also been featured in an article on log home maintenance and restoration in Cleaner Times Magazine, and Borrego has been contributing author for several years. See Dirt Run!™ Inc. is an active certified member of PWNA, a member of the Better Business Bureau, the UAMCC, the Chamber of Commerce, and operates under MHIC License #86481, VHIC# 2705 126609. Interested parties should contact the office at 302-540-1243. 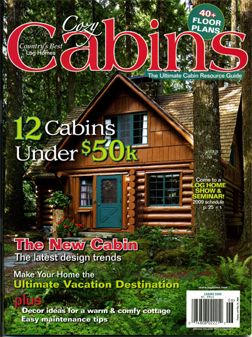 Country’s Best Cabins is one magazine in a family of publications serving the log home and timber frame home industry. Germantown, MD – October 26, 2007 See Dirt Run!™ Inc. of Germantown, MD, a local power washing company specializing in wood restoration and wood preservation, participated in The Log & Timber Home Show held in Chantilly, Virginia from October 26th through the 28th, 2007. See Dirt Run! 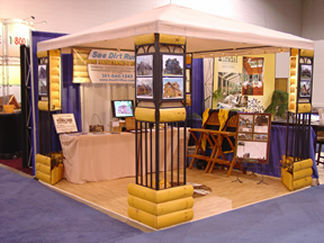 ™ Inc. exhibited in a 10×10 booth custom built by the owners for the event. Information about pressure washing, chemical stripping, cob blasting, staining and sealing and chinking log homes was available for attendees. Samples of work were available and on display for home owners. Both Roderick Rodriguez, President, and Beth Borrego, Vice President were available for consultation during the eventï¿½s show hours. See Dirt Run! ™ Inc. is located in Germantown, MD., and has been in business since 1999. The company specializes in wood restoration and preservation, and is an active certified member of PWNA. See Dirt Run!™ Inc. is also a member of the Better Business Bureau, and operates under MHIC License #86481. Germantown, MD – October 10, 2008 See Dirt Run! ™ Inc. of Germantown, MD, a local power washing company specializing in wood restoration and wood preservation, will be participating in The Log & Timber Home Show held in Chantilly, Virginia from October 24th through the 26th, 2008. See Dirt Run! ™ Inc. will be exhibiting in a 10×10 booth custom built by the owners for such events, and will be offering a show special and a raffle for show attendees only. Information about pressure washing, chemical stripping, cob and glass blasting, staining and sealing and chinking log homes will be available for attendees. Samples of work is available and on display for home owners. Both Roderick Rodriguez, President, and Beth Borrego, Vice President will be available for consultation during the eventï¿½s show hours, and to explain the effects of “going green” on home maintenance. See Dirt Run!™ Inc. of Germantown, MD., published in Country’s Best Log Homes Magazine. See Dirt Run!™ Inc. Vice President Beth Borrego asked to write article on log cabin maintenance; published Nationwide in May 2009. Germantown, MD – June 4, 2009 Beth Borrego, Vice President of Maryland based company See Dirt Run!™ Inc. was contacted back in February by Countrys Best Log Homes Magazine regarding writing an article on log cabin maintenance for the magazine’s upcoming Cozy Cabins issue. Borrego authored the article entitled “6 Easy Steps to Maintaining Your Cabin” appearing on pages twenty six through twenty eight. See Dirt Run!™ Inc. of Germantown, MD, a local power washing company specializing in high end wood restoration and wood preservation, has been restoring and maintaining log homes since 1999. The article focuses on basic maintenance and issues that all log home owners should be aware of. Rod Rodriguez, President of See Dirt Run!™ Inc. is quoted in the article and emphasizes the importance of inspecting the logs regularly and checking for rot. Perma Chink representative Vince Palmere was also quoted in the article, offering sound advice to home owners on maintenance. Perma Chink is one of the top industry leaders in log home care products. Borrego has also published an article on log home maintenance and restoration in Cleaner Times Magazine, and has been contributing author for several years. See Dirt Run!™ Inc. is an active certified member of PWNA, a member of the Better Business Bureau, the UAMCC, the Chamber of Commerce, and operates under MHIC License #86481. Interested parties should contact the office at 302-540-1243. 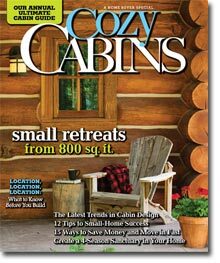 Country’s Best Log Homes is one magazine in a family of publications serving the log home and timber frame home industry.